At New Pathways, we think that Two’s are TERRIFIC! 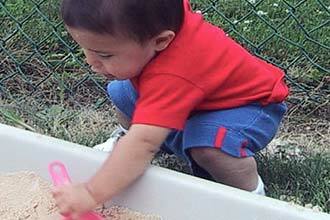 New Pathways offers two programs for two-year olds. 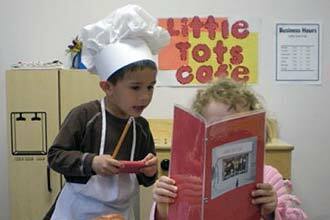 Children who are 24 months of age may participate in our full-time childcare. Or, for those families who want an introduction to our early education programs, we offer Two’s On Target– a preschool class we designed just for your two year old. Our Two’s programs are FUN! We want your child to enjoy being at preschool! Our Two’s curriculum emphasizes language development and social interactions. Each day includes time for play with friends, stories, songs, being outdoors, art projects, and discovery! Our Two’s teachers will share the excitement of your child’s new accomplishments and learning at parent-teacher conferences and through written progress reports.